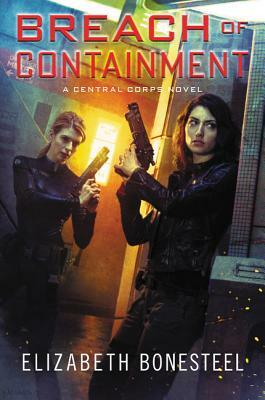 A reluctant hero must prevent war in space and on Earth in this fast-paced military science fiction thriller from the author of The Cold Between and Remnants of Trust—a page-turning hybrid combining the gritty, high-octane thrills of James S. A. Corey and the sociopolitical drama of Ann Leckie. Space is full of the unknown . . . most of it ready to kill you. When hostilities between factions threaten to explode into a shooting war on the moon of Yakutsk, the two major galactic military powers, Central Corps and PSI, send ships to defuse the situation. But when a strange artifact is discovered, events are set in motion that threaten the entire colonized galaxy—including former Central Corps Commander Elena Shaw. Now an engineer on a commercial shipping vessel, Elena finds herself drawn into the conflict when she picks up the artifact on Yakutsk—and investigation of it uncovers ties to the massive, corrupt corporation Ellis Systems, whom she’s opposed before. Her safety is further compromised by her former ties to Central Corps—Elena can’t separate herself from her past life and her old ship, the CCSS Galileo. Before Elena can pursue the artifact’s purpose further, disaster strikes: all communication with the First Sector—including Earth—is lost. The reason becomes apparent when news reaches Elena of a battle fleet, intent on destruction, rapidly approaching Earth. And with communications at sublight levels, there is no way to warn the planet in time. Armed with crucial intel from a shadowy source and the strange artifact, Elena may be the only one who can stop the fleet, and Ellis, and save Earth. But for this mission there will be no second chances—and no return. Elizabeth Bonesteel began making up stories at the age of five, in an attempt to battle insomnia. Thanks to a family connection to the space program, she has been reading science fiction since she was a child. She currently works as a software engineer and lives in central Massachusetts with her husband, daughter, and various cats.